I am a senior dog owner. 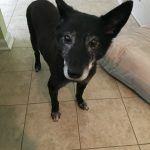 I have a 12 year old rescue dog that became part of my family approximately 7 months ago. He is deaf and has no peripheral vision. He is a wonderful, sometimes grumpy old man that is enjoying his retirement in his new home. Lucky Paws has been my life saver. They welcome Stoli with open arms even with all of his limitations and quirks. He wags his tail when greeted by Kirstin or Dawn and his sometimes grumpy mood fades away. I leave him in their care and he never looks back. I recommend Lucky Paws to everyone who is a dog parent. Their love and caring is unconditional. As long as I have furry kids I will always be a client of this wonderful facility. Sincerely Robin and Stoli! I have known Gretchen for many years and was so happy to learn that she was buying Lucky Paws where I already took my dog. I fully trust her judgement and her passion for animals in unparalleled. I travel a lot and leave my dog at Lucky Paws sometimes for 2-3 weeks at a time. The staff always takes such good care of her and gives her lots of love. My dog loves going to daycare and swimming in the pool in the summer time. We are very lucky to have Gretchen and the Lucky Paws staff to take care of our family members! 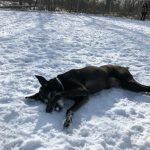 We live in the North Hills and while there are many ‘well known’ places to kennel, train and play with your dog, there is NO competition for Luck Paws Pet Resort. I wouldn’t take my dogs anywhere else…even in a pinch. They are truly expert caregivers and so thoughtful when it comes to training, grooming, kenneling and doggy daycare. The facilities are clean, spacious and inviting. I can’t keep my dogs out of their amazing pool and I can’t use the words Lucky Paws at home or they get overly excited to go. It’s truly a special place. We left our dog there for 27 days while we took an extended trip and I never worried once! I knew that he was in the best possible hands. 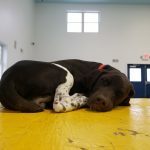 Thank you Lucky Paws for being there for us! 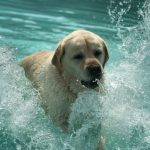 When we moved back to Pittsburgh five years ago, we found Lucky Paws Pet Resort…a second home for our Labrador Retriever Rosie! How lucky we were and still are! 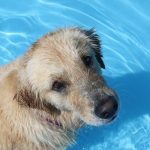 Rosie loves her daycare (most especially the in-ground swimming pool), hotel stays and “spa” times with the very caring and professional staff. The facilities and grounds are beautiful, clean and safe. In addition, Rosie took obedience training and her therapy dog training with the skilled trainers at Lucky Paws. Whenever we go to Lucky Paws, Rosie starts wagging her tail in anticipation as we drive up the driveway. The experience is a happy and fulfilling one each and every time, making us extremely comfortable and confident about the care she receives. I highly recommend Lucky Paws Pet Resort and their comprehensive services. Gretchen and her staff are loving, caring people. 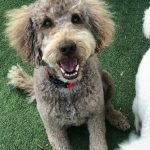 I have boarded my dog and used both daycare and grooming services many times. I have always had great experiences with her Lucky Paws staff. They went above and beyond to take special care of my Gracie. I would recommend their services 100%. Lucky Paws treats their customers like family. I bring my dog Hank to daycare four times a week and he loves it. 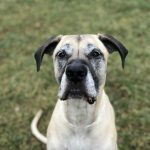 At daycare, Hank gets all the exercise he needs as well as socialization with other dogs and the staff. Boarding at Lucky Paws is equally awesome. I trust the pet hotel’s management and staff completely and their love for Hank allows me to travel with complete confidence that my best buddy is safe, happy well cared for. We have two very challenging and needy terrier mixes who have a generalized anxiety disorder. Lucky Paws has really taken the time to get to know our boys and what works and doesn’t work regarding their care. They are so well taken care of by the kind and caring staff. We can go away with peace of mind knowing that they will be loved even with all their issues, just like we do at home! We don’t know what we would do without Lucky Paws! It was so nice to be able to go away and know that Rudy is safe and sound at Lucky Paws. I think he might actually be having more fun than me. The girls are awesome!!!! Doggie daycare is the best. I recommend Lucky Paws to all my friends. Lucky Paws is the only place we would trust with our dog. 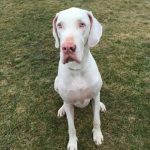 They have repeatedly gone above and beyond any expectation in caring for our deaf Great Dane. 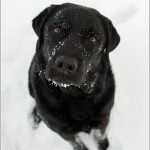 If you’re like me, you LOVE your dog! And when life necessitates that you be apart for work, vacation, or just a mental health day, you need people that will care for your fur baby like s/he were their own. I was lucky to find that place 5 years ago at Lucky Paws, and I have taken my dog there for daycare, boarding, and grooming ever since. If you’re looking for a new place or your first place, you’ve found the best at Lucky Paws. Prancer LOVES Lucky Paws and all the staff!! I always feel so comfortable and happy when she runs in and the staff gives her lots of love and hugs. I know she is in amazing hands and they love her like I do. It makes my time away from her worry-free and enjoyable! Lucky Paws is the greatest place for your dog! When my boy goes there, he has a wonderful time with all of his friends–both 2-legged and 4-legged! I know he will be happy and safe there. It is just like going to visit his very own extended family! We have been customers of Lucky Paws Pet Resort for over 6 years and our dog, Lucy, loves it!! 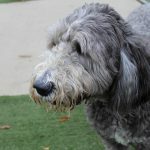 We use both the daycare and hotel services and are continually pleased with the care that Lucy receives. The facility is awesome, always clean with tons of room and activities for the dogs to enjoy. 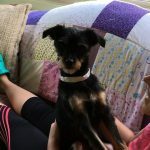 I am confident when I leave Lucy at Lucky Paws that she will be loved and well cared for during her stay. Lucky Paws has been an important part of our life with a dog. It provides a safe place for Lucy to stay while we are away as well as a much needed outlet for socialization. I am so happy that we found Lucky Paws and will continue to use their services in the years to come. Thank you!! Our rescue dog, Maybelline has truly blossomed thanks to the compassionate and hardworking staff at Lucky Paws. 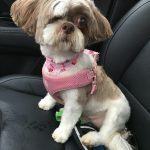 From grooming, to obedience classes to boarding, Maybelline has always received the best care, love and attention while at Lucky Paws Pet Resort! The staff absolutely goes above and beyond!